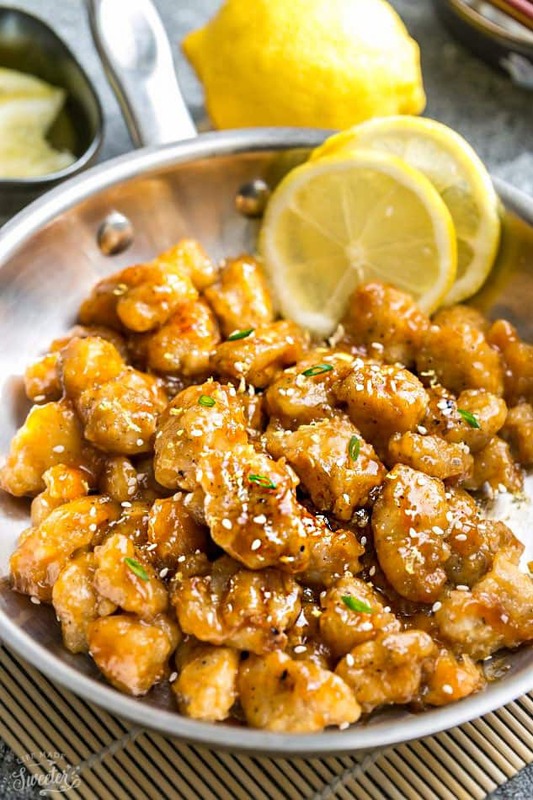 Asian Lemon Chicken – an easy homemade 30 minute version of the popular Chinese Takeout-Style Lemon Chicken. With a light and crispy coating covered in a flavorful sweet, savory and tangy lemon sauce. With gluten free & paleo options. Plus recipe video! Although we’ve had what’s been considered a pretty mild winter so far, I’ve been dreaming of tropical beaches along with bright and sunny citrus flavors. Lemon anything happens to be my favorite and that bright and refreshing scent can always cheer me up even on the gloomiest day. 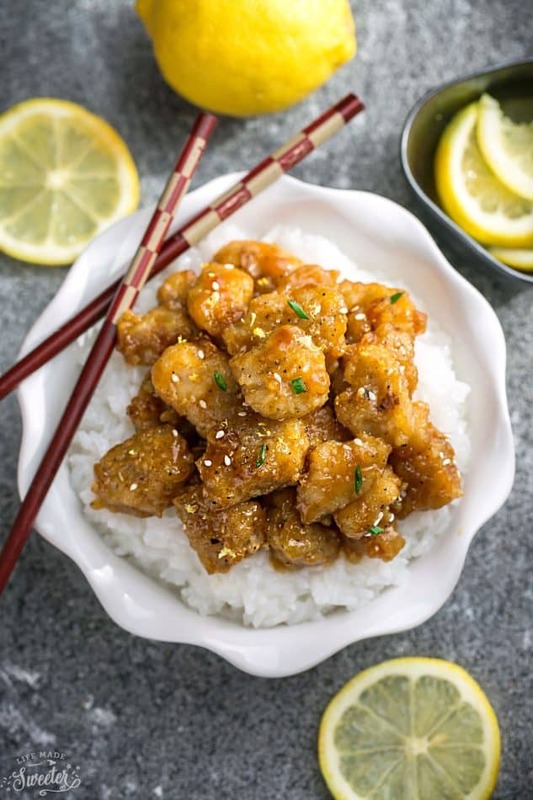 My son also happens to be a big lemon lover and this Asian Lemon Chicken is one of his favorite fake-out takeout dishes. This homemade version is ready in just 30 minutes so it’s perfect for those busy weeknights. And the best part about this dish is that there is no deep frying involved. You can choose to pan-fry the chicken in a little bit of oil — or bake it in the oven. 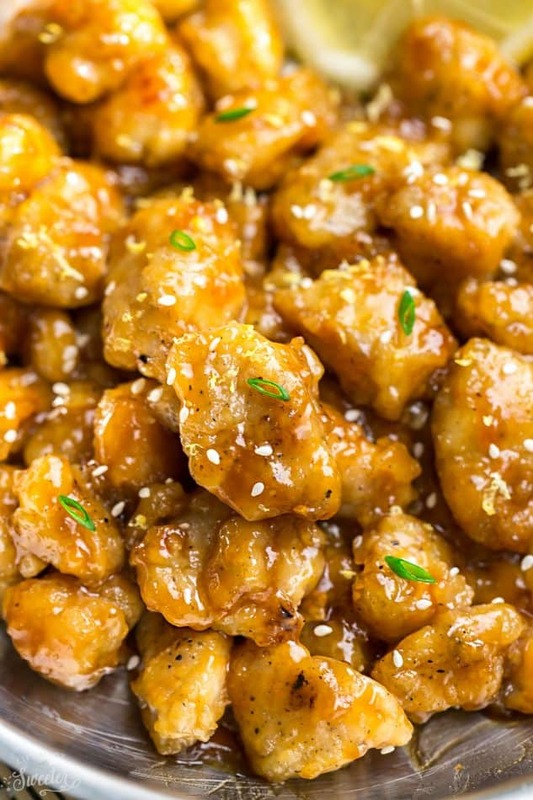 The sweet and sticky sauce for this Asian Lemon Chicken is full of dimension and flavor. It’s got the right amount of balance of sweet, savory and zingy. You can easily customize it to your tastes though. 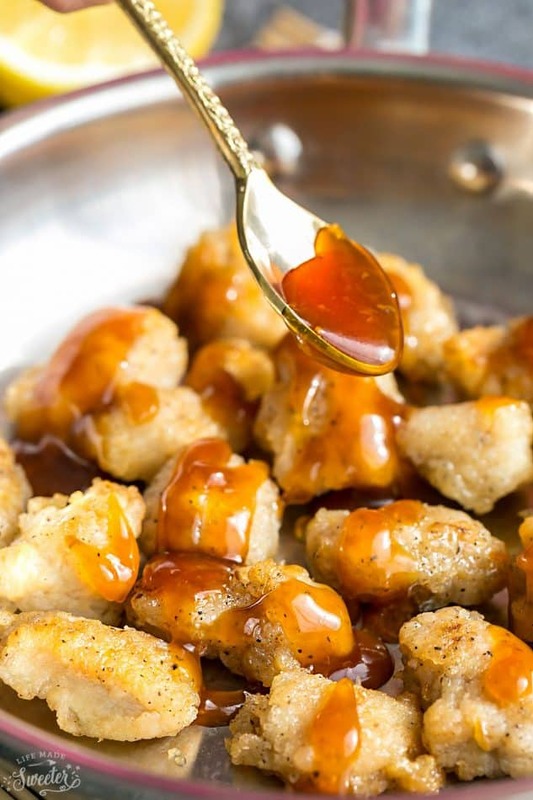 If you like your sauce sweeter, add more honey. For tangier – add more lemon juice and vinegar. And for a kick of heat, add extra Sriracha. To make this ahead – combine all the ingredients for the sauce and store in an air-tight container in the fridge for up to 3 days. The night before, dice the chicken and store in a separate zip-top freezer bag in the fridge. If serving with rice, make rice the day before and store in an air-tight container in the fridge. For easier weekly meal prep – chop all the vegetables ahead of time and store in an airtight container the night before – – I use this lunch container. 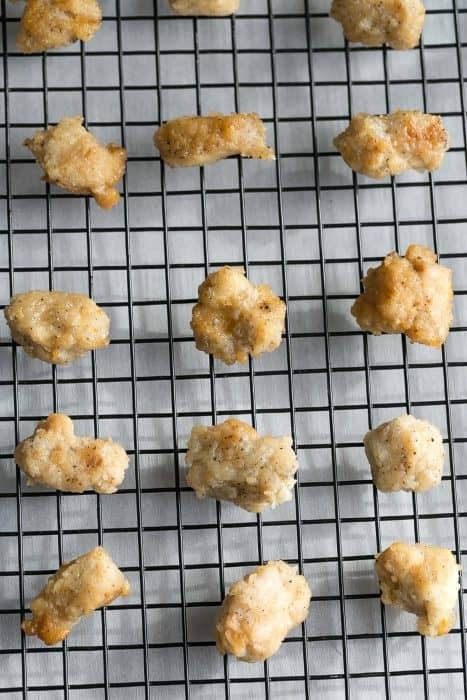 In a large zip-top freezer bag, combine the cornstarch, panko crumbs, salt and black pepper. Add the chicken and shake well to coat. Heat 2-3 tablespoons oil (or enough to lightly coat the bottom of the pan) in a large skillet over medium high heat. Working in batches, add chicken and pan fry until golden and cooked through, about 3-5 minutes per side. Transfer to a large platter lined with paper towels. Repeat. 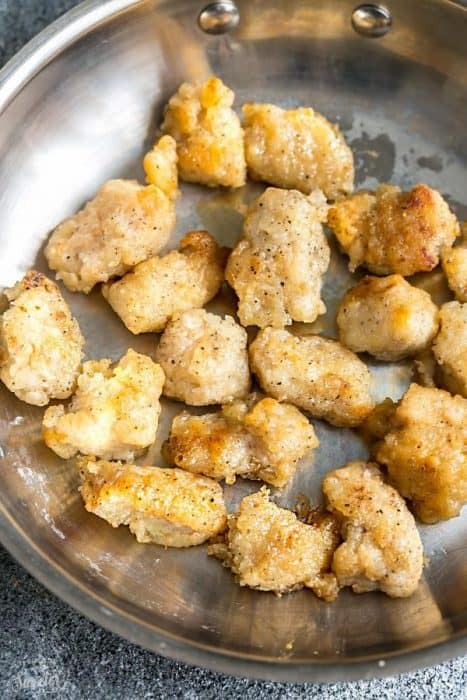 Toss chicken together with heated lemon sauce, coating well.